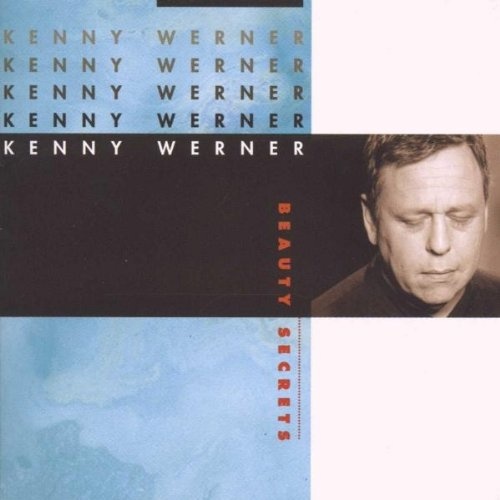 As an acoustic pianist in modern jazz, Werner has few peers, but not the proper acclaim. Perhaps this CD will do it: it's an exquisitely crafted date with several trio tracks (Drew Gress on bass and Billy Hart on drums,) duets with tenor saxophonist Joe Lovano or violinist Mark Feldman, string-flavored orchestral pieces, poetry, singer Betty Buckley on one cut, and one quintet track with Werner's younger compatriots like trumpeter Dave Ballou and saxophonist Tony Malaby. Werner's trio is really on, from the first notes of the standard "With a Song in My Heart." He has the keen sense and innate ability to take basic melody themes and extrapolate them to the nth power or degree. As a writer, he takes cues from '50s masters; Bud Powell would be proud of his incessant start-stop antics and Hart's rat-tat-tat accents on "Scufflin'," while a bow to Herbie Nichols is clearly evident on the slightly angular, sneaky-cool swing of "Little Appetites." Werner waxes romantic on the tender title track, a ballad waltz in which he can get lost while also finding his various selves. He's also adept at time shifts -- commanding stop-start, soulfully grooving 6/8, hard-swinging 4/4, and back to staccato phrases on the chameleonic "Jackson Five." Lovano adopts a mushy, lugubrious stance for Werner's darker mood during the 1½-minute "Inner Region," while the different melody fragments peppered through the interestingly conceptual "A Walk in the Park" find Lovano mellow, but sometimes dissident. Feldman's crystal-clear violin rings out on the children's-song-like traipse through fields of flowers "You Make Me Sing," while wondrously woven unison and contrapuntal variations change up the suggested waltz of "Goblins." Buckley's singing approaches siderial cabaret, a bit oblique for Werner's avant shadings on "Send in the Clowns," while Werner verbalizes on the life-dance-freedom precept of "Music from the Space," a 12-minute-plus romp through introspection, orchestral notions with string synth, and the hard-swinging trio. The lone quintet piece, "Bumper Jumper," leads one to believe there's a full CD of this band waiting in the wings someday. It displays Werner's most complex, highly evolved writing, with unison horns, contrary bass and piano lines, bop infusion, slightly dour free improv, and contagiously feverish invention. It's clear that Werner is a brilliant musician. Too few out of New York City know it, but you always get the feeling the best is yet to come for this true individualist and progressive thinker. Highly recommended.